Virginia peanuts are cooked in butter, sugar and salt to form a crunchy candy coating for a taste-tempting treat. 10 oz. 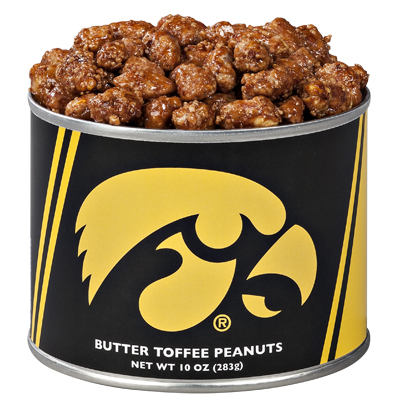 can with University of Iowa label. The peanuts are excellent - very fresh and delicious! The only disappointment I had is that the packaging online shows it is a black label and the container I received had a white label. It definitely looks better in black.